While summer offers warm weather and green pastures, the season also threatens calves with summer pneumonia ‚Äî an often fatal respiratory condition for young calves. Changing weather conditions and stress from working or transporting calves opens the door for the primary pathogens that cause summer pneumonia, Bovine Respiratory Syncytial Virus (BRSV) and Mannheimia haemolytica. 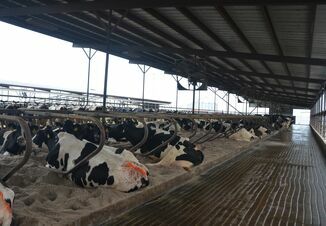 "Summer pneumonia is a real challenge and can occur during dry or wet weather conditions," said Jon Seeger, DVM, managing veterinarian with Zoetis. "Young calves may not last long with summer pneumonia and can succumb to the disease quickly. Identifying sick calves isn't difficult, but identifying them early in the disease process, when clinical signs can be most effectively addressed, becomes more challenging when the calves are turned out on pasture." Clinical signs for summer pneumonia can include droopy ears, sluggish demeanor, extended neck, rapid breathing and nasal discharge ‚Äî all signs commonly seen in bovine respiratory disease (BRD). Keeping a consistent, watchful eye on cattle offers the best chances for early detection and prevention. Vaccination programs, combined with sound herd management, are key. By ingesting colostrum, calves absorb maternal antibodies that initiate a strong immune system early in life; however, this immunity quickly deteriorates as the calf gets older, making vaccinations even more vital. Vaccines train the calf's immune system to recognize and fight the viruses and bacteria it encounters later in life. "Think of a vaccination program like sending the calf's immune system to school," Dr. Seeger said. "It's important for producers to vaccinate calves before putting them out for summer so they can develop the proper immune capabilities." Vaccinating young calves in the springtime will help you and the calf win the fight against summer pneumonia before it begins. A great way to provide your calves a strong start is through an initial vaccine series with INFORCE‚Ñ¢ 3 and ONE SHOT® BVD. 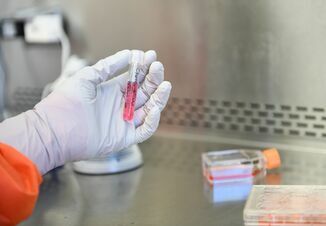 INFORCE 3 is the most trusted and utilized respiratory vaccine on the market, and the only vaccine that can prevent respiratory disease caused by BRSV and aid in the prevention of IBR virus and PI3 virus.1 By adding ONE SHOT BVD to the initial vaccination series, producers provide their calves a rapid, balanced immune response against all of the important bovine respiratory disease pathogens and the highest level of protection available against Mannheimia haemolytica. A fall booster to this initial series with BOVI-SHIELD GOLD ONE SHOT® provides uncompromised protection against the important BRD pathogens and a long duration of immunity to meet the needs of any production system. BOVI-SHIELD GOLD ONE SHOT is the only combination vaccine which can prevent three important BRD conditions, while also providing the highest level of protection available against M. haemolytica in a single, convenient injection. While all calves are at risk, calves born to heifers and young cows have the highest risk of summer pneumonia. When working cows, handle calves with care to avoid unnecessary stress. Observe calves frequently to detect sickness in its earliest stages. Be mindful of extreme heat and dust when working, driving or transporting cattle. Administer respiratory vaccines before pasture turnout. 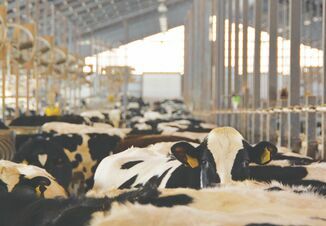 "Anything abnormal to the animal's environment or daily activity can be a stress factor, and young calves' immune systems must compensate for it," Dr. Seeger said. "When calves are taken out of their normal comfort zone, keep an eye on them for at least the next seven to 10 days to make sure sickness doesn't follow the associated stress." To learn more about giving calves a healthy start, visit CompleteCalfProtection.com.